Seacoast Mills Building Supply is a full service lumber yard and hardware store that has served the Seacoast for over 20 years. Whether you’re a contractor or a homeowner with a big or small job, you’ll find what you need at Seacoast Mills. One major benefit to working with the Seacoast Mills Building Supply team is that we truly care about your project and want to earn your trust. We are happy to share our expertise whenever you need a helping hand! Established in 1977, Seacoast Mills, Inc. started out as a sawmill, shop, and small storage shed on a large, open property. Years later they’re the primary outlet for Eastern White Pine and Eastern Hemlock lumber products. Specializing in Eastern White Pine, our sawmill has many different patterns, grades, widths and thicknesses to choose from. 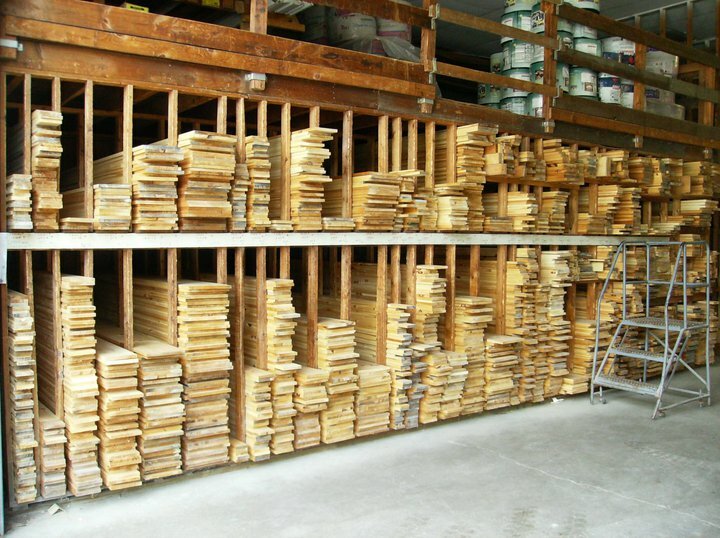 We utilize about 25% more of the timber than other mills, using more resource and creating less waste. Need custom doors, shingles, or molding? We’re also a full-service hardare store. Come in today to see our selection of vinyl siding, sheetrock, plumbing supplies, electrical supplies, power tools, masonry products, and more. PREPRIMED LUMBER- LOCALLY GROWN PINE! Harvested by local loggers-milled locally-primed locally! binned and double primed! All by local companies and their local employees! FULL line of *Milwaukee* tools on display! Now in Stock! 6′ interior barn door kit in matte black with everything needed to hang a 3′ door only 239.95!